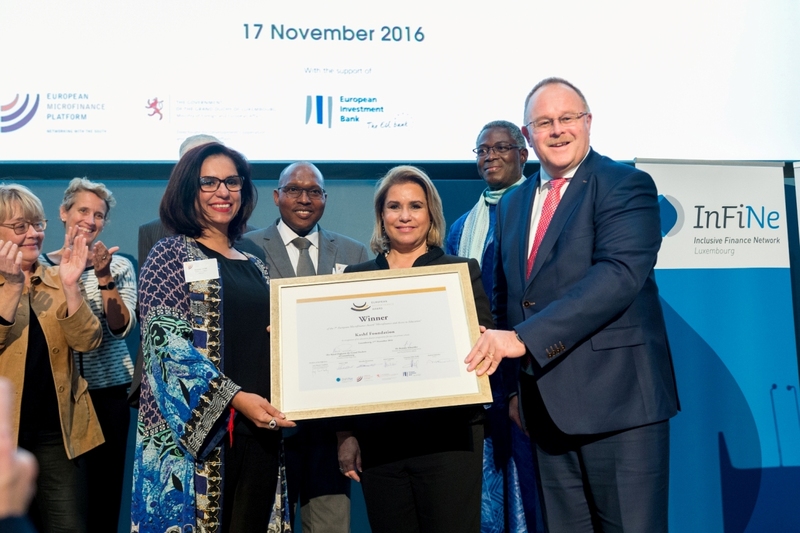 Kashf Foundation, one of Pakistan’s leading microfinance institutions, has been awarded the prestigious European Microfinance Award by the Luxembourg Ministry of Foreign and European Affairs. The award is a first-time win for Pakistan and is in recognition of the Foundation’s credit and training facilities to low-cost private schools. Pakistan suffers from a serious dearth of quality education, especially within the public sector. As a result, the country has seen a rise in low-cost private schools which look to fill the gap left by inadequate equipment and facilities in public sector schools. After extensively researching the needs of low-cost private schools, Kashf Foundation tailored an integrated solution that provides access to finance, school development trainings, and general pedagogy trainings for teachers. To date, the Foundation has serviced over 1,100 schools, trained 4,500 teachers, trained over 1,800 school owners, and positively impacted more than 570,000 students in low-cost private schools across Pakistan with a product unmatched anywhere in the world. The Award, which highlights the importance of having an innovative approach and structural impact, also acknowledges the creative use of both financial and non-financial tools to improve the quality of the social and economic lives of families and communities. The post Kashf Foundation becomes first Pakistani institution to win European Microfinance Award appeared first on TechJuice.